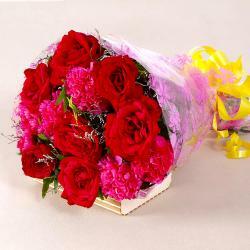 Product Consists: Bouquet of 15 Multi Color Roses with lots of green fillers. 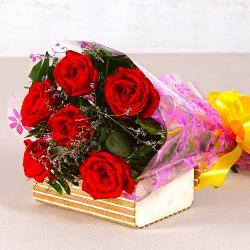 This bunch of beautiful roses will be a thoughtful and unique gift when it comes to surprising near and dear ones on special occasions. 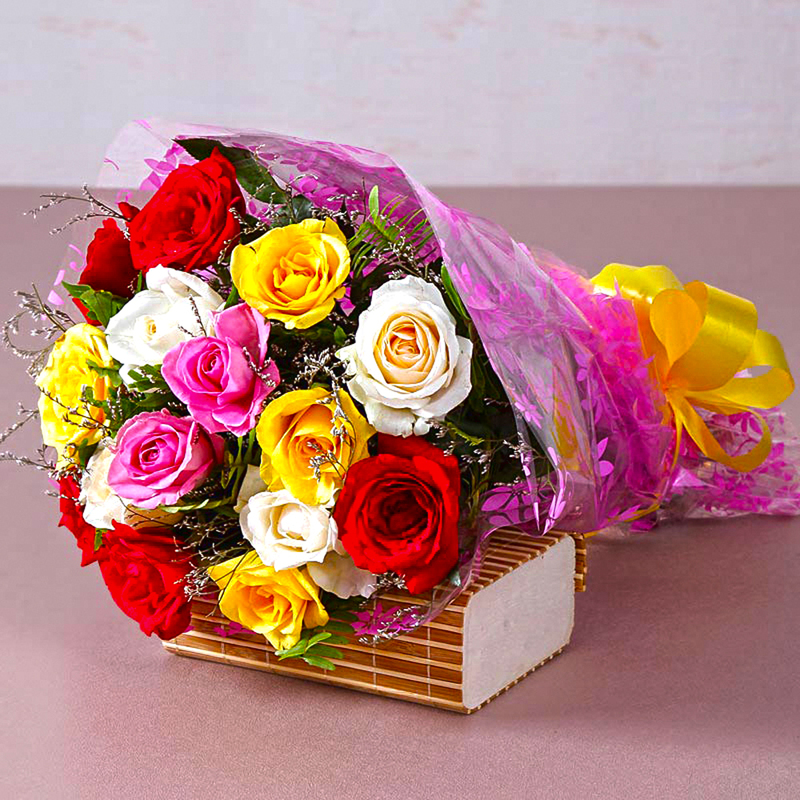 This bunch contains fifteen mix roses that have been immaculately packed in sophisticated cellophane paper and come with a matching ribbon bow for company as well. 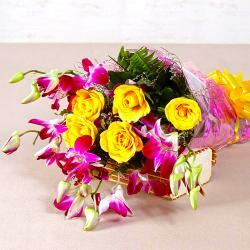 This bunch should certainly be a heartwarming gift for your loved ones on special occasions like Diwali, Birthday, Anniversary, Corporate Gifting, Dhanteras, Eid-Al-Adha and Independence Day among many others. 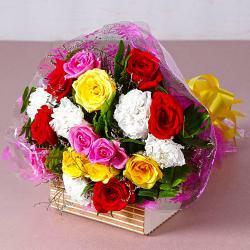 Product contains : Bouquet of 15 Multi Color Roses with lots of green fillers.